Finding a stunning looking nylon watch strap of high quality and within a decent price range is absolutely doable. Scroll down and you might find something that gives your timepiece a facelift. And you don’t need to be 007 to find one. While the NATO watch straps page offers you both nylon and leather NATO straps, this page focuses exclusively on nylon straps. Below you’ll find a list of recommended companies that make excellent nylon watch straps. The manufacturers offer you both NATO straps and “ordinary” straps – meaning those that come in two separate pieces. Before you purchase a NATO-nylon watch strap, please watch the video down below, so that you’ll know how to properly install the NATO strap. Adebena is a NATO watch strap manufacturer that consistently gets good reviews at Amazon. They make soft, breathable ballistic nylon straps that come in 20mm and 22m strap widths. Water proof and washable. Highly recommended! ARCHER, BARTON, BluShark and CIVO, all make NATO straps of similar quality and in a similar price range. All 4 brands consistently get good reviews at Amazon. They come in several colors and patterns and they come in 18mm, 20mm, 22mm and 24mm strap widths. Water proof and washable. Barron Watch Company offers you NATO straps in the true and classic James Bond Rolex Submariner spirit. ClockWork Synergy seems to be endlessly flexible in the sizes they offer – anything ranging from 13mm to 26mm strap width. It’s the endless size flexibility that I truly like about ClockWork Synergy! DaLuca is a premium brand charging a lot for their NATO straps, but Amazon customers seem to believe that the price is worth it. DaLuca consistently gets good grades on its quality and workmanship. All these brands are naturally water proof and washable. Geckota has consistently received exceedingly positive reviews at Amazon, and Geckota specializes in James Bond inspired NATO straps. 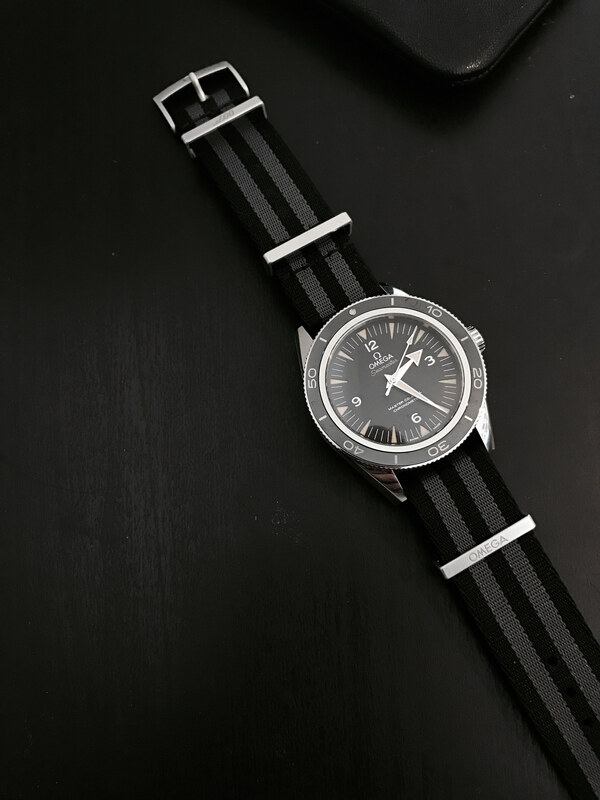 For any James Bond enthusiast this brand is a given choice, but even if you aren’t so taken by 007’s escapades, the straps are stunning and indeed of high quality. They are well worth their price! And they are obviously water proof and washable. INFANTRY and Ritche both offer nylon NATO straps of consistently high quality, in several colors and patterns, at an affordable price, with positive reviews. Naturally, they are both water proof and washable. Vetoo offers conservative looking NATO straps with consistently positive reviews at Amazon and the price is indeed quite moderate. Swigen is a highly affordable brand with a considerably more playful approach than Vetoo. Both brands are naturally water proof and washable. Zuludiver is an excellent NATO strap manufacturer which I can personally recommend since I have a Zuludiver NATO strap (in black) myself. A high quality strap, more expensive than the average NATO strap, but well worth its price, proven by the overwhelmingly positive reviews at Amazon. Water proof and washable. If you have questions, comments or suggestions to make, please post them down below and I’ll be happy to answer them!